When you invest in Real Estate it is not all about finances, location or quality of construction. It’s also about ensuring the good management of your property, which cannot be improvised overnight and requires the services of a professional property management company. Since we opened our agency in 1997, we have successfully specialized in private property management, making sure they are well maintained and provide a good rental yield. We also have a solid experience in managing co-owned residences in this country, taking care of day-to-day running, whilst maintaining a close relationship with owners and residents. The Property Management company’s mission is to preserve the value of the owner’s investment, save time and earn money by renting his property. Currently, our portfolio includes almost 100 apartments, villas, and commercial premises. We put our clients needs first. To make sure that your assets are in good hands, we make sure that we’re familiar with each client’s unique administration needs. Thanks to our knowledge of local practices, we save you time by avoiding all the constraints of direct contact with employees and service providers. We take care of paying your bills and keep your accounting up to date. Do you want to rent your property? We can help you get the best returns on your rental property possible. 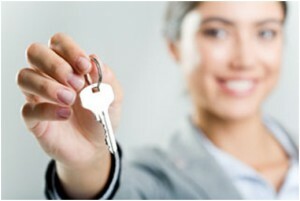 As property management specialists, we take care of all the inconveniences that come along with renting out your place. Our expertise in this area allows us to select the most reliable clients. Our advertising channels and social media profiles generate ample leads to keep your rental full for as long as you want! We have a long history of working with renters in the area and guarantee a selection of only the most reliable tenants. Each rental is assigned a single point of contact and concierge service that ensures a quality experience for every client. It´s the extra attention to details we provide that helps keeps tenants happy. From a distance, you will always appreciate knowing that your property is in hands of an experienced specialist with whom you can communicate in complete transparency. And if you want to come to stay at your place, no problem! We’re experts at scheduling and always just a call away. Just hand us the keys and we´ll take care of the rest. The trustee is the agent of the co-owners of a residence and must fulfill several missions. He represents the co-ownership and deals with its administrative and financial management. He is also responsible for maintaining the building and executing the decisions taken at the general meeting while enforcing the co-ownership rules. For many years our property management company has been or is the administrator of several important condominiums in Cabarete, the most renowned are Ocean Dream, Ocean One, and Olas de Oro. We have a specific branch, Cab Admin, which is exclusively dedicated to condominium administration. Over the years, we have established special relationships with the various players in this market, thus constituting a complete and reliable address book for suppliers, service providers, employees, legal and administrative advisers. In addition, we have a team of people who have been working with us for a long time. With this solid experience, we are always able to study any new service request. Do not hesitate to contact us. ([email protected]). L'Agence Real Estate is the premier real estate and property management group on the north coast of the DR. We live in our home in the winter and it is in perfect shape every time we arrive. We also rent and L'Agence Real Esate team takes care of EVERY want and need before guests arrive and while they are on site. They respond very quickly (rare in the DR) are professional and honest with superior service. I can't say enough great things. L’Agence Real Estate has been managing my condo since I purchased the unit in 2016. One of the main reasons that I purchased an Ocean Dream condo was the fact that L’Agence would be able to manage the unit for me and take care of the necessary business while I was away from the unit. I had met Pierre Dardelet and some of his team members while I was looking for properties in Cabarete. Once I purchased the unit in Ocean Dream, I decided to have L’Agence manage the unit for me. It was the best decision that I made. They literally can help with as much or as little as I need. I had them assist with the renovation of my apartment, with paying my cable and internet bills, keeping the apartment clean prior to, during and after my stays in Cabarete. Really, getting the unit secured during the recent hurricanes in 2017, anything issue that comes up they can assist with. I have received excellent customer service from L’Agence and have developed friendships with most of the people that work in L’Agence office. I would highly recommend the condo management services that L’Agence provides. Feel free to contact me directly for any recommendations ([email protected]). L’Agence does an excellent job. I fully trust L'Agence and this allows me to focus on other life projects that I realize. They also manage all rentals to maximize the return on investment (ROI). Consistently, year after year, the apartment is rented most of the time. The agency was recommended to me several years ago when I was looking to invest in Cabarete. Since my first contacts more than 10 years ago to now, L'Agence and its team have always delivered a very high-quality service and have been excellent partners on which I have always been able to rely over the years. L'Agence has managed my condo since the year 2007: supervision of repairs, payment of bills, etc. I recommend L'Agence to anyone interested in an investment in Dominican Rep. and would do the same choice as 10 years if necessary. L’Agence Real Estate has been managing our 2 condos since 2017, also long before with previous owner (who recommended L'Agence highly). They handle all the administration - payment of invoices, supervision of repairs and client orientations in a very professional manner. Their account system is very clear with all costs outlined and detailed as with all rental incomes. Both properties are managed to maximize our ROI (return on investment), which is very appreciated. I highly recommend L'Agence for any property management, rentals of a real estate sale in Cabarete! I have been working with L'Agence Real Estate in Cabarete for 18 years, their level of competence is maximum. You can entrust them with your property for sale as well as for renting. For me who lives abroad, their partnership is very valuable. They offer a very personal welcome, the team is attentive to my needs while remaining responsive. Definitively a trusted agency.